The problem with many laser hair removal technologies is their inability to treat patients with hair of a particular colour or skin tone. At Skin Vitality Medical Clinic, we offer a single device, elos laser hair removal, that can safely and effectively target all patients, regardless of their hair colour or skin tone. Finally, there is a solution for everyone. As the first and only laser hair removal technology that removes all shades of hair colour, including those that have long been considered difficult like white, gray, red and blonde, elos™ laser hair removal delivers exceptional results for patients with pale and light to dark and tanned skin. Innovative technology ensures a faster and gentler treatment that minimizes discomfort, more so than other technologies available today. Laser Hair Removal is 1 of the top 5 most popular non-invasive procedures! Nobody has to be burdened by unwanted hair with modern advancements in laser hair removal making for simpler and more effective treatment options. 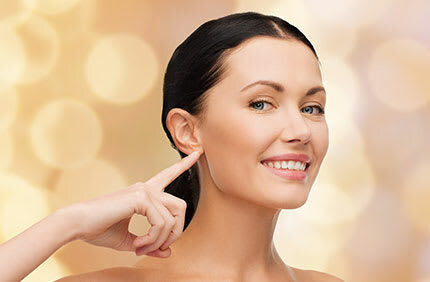 elos™ Technology, one of the most popular removal systems currently available to the aesthetic medical field, is continuing to make for patient success stories through its innovative system and high success rates. Anyone that is interested in taking advantage of a proven hair removal treatment that promises painless, unobtrusive and lasting results should understand more about elos™ Technology. Here is an explanation of elos™ Technology, how it works and how it can help you to experience long lasting hair reduction and removal. elos™ Technology is an extremely popular system used in long term hair reduction. It has enjoyed success due to its ability to be used with almost all hair and skin types (whereas, in the past, laser hair removal technologies were often limited to only candidates that met exacting requirements). elos™ Technology works by using advanced optical energy systems directed at sites where hair reduction is desired. elos™ preheats the target area using optical energy, creating a thermal path that radio frequency (RF) waves then travel on. RF is directed toward hair follicles (which are unable to conduct RF waves) until the follicle is damaged to the point of being disabled. A disabled follicle is unable to grow hair and, with repeated treatments, long term hair reduction in the target area is achieved. Most patients require treatments spaced over a few months in order to achieve optimal hair removal. The amount of treatment sessions required depends greatly on individual factors that include genetics, hair colour and more. Your Medical Consultant will let you know how many you should expect before you start treatment. One of the biggest problems with many forms of laser hair removal is a lack of versatility. Many patients, particularly those with darker tones of skin or lighter coloured hair, can’t be treated by traditional laser systems. Luckily, the arrival of the sophisticated elos™ system is able to resolve these issues by offering more advanced technology that can be applied to a wider range of patients. Why are Darker Skin Tones Harder to Treat? Darker skin tones are harder to treat with laser hair removal because these systems work on a light-focused basis which functions by targeting pigmentation. The low-energy light used in traditional laser treatments is aimed at the pigment (melanin) in the hair follicle and reduces hair by damaging the follicle to the point that future growth is slowed or stopped entirely. Light is attracted to dark colouring (chromophore), making a patient with darker skin or lighter hair more difficult to effectively treat (heat is not sufficiently drawn to an area that is darker in colour than what surrounds it). Traditional laser hair removal, because of this, is most effective on light skin tones with dark-coloured hair where chromophore can be identified more easily. Without being unable to properly absorb into the skin, hair removal is inadequate. How Does elos™ Work to Treat Darker Tones? elos™ is different. This advanced laser device for laser hair removal has been designed with a sophisticated blend of modern technologies. It is unique in that it uses highly advanced laser systems that utilize more than just typical laser energy in order to target and damage follicles. elos™ combines laser and radio frequency waves together in order to affect follicle tissue itself and not just melanin, meaning that it can effectively direct an intense enough level of heat and energy that the hair follicle is properly damaged. This allows elos™ to be used in the removal of even the darkest shades of black hair from patients with dark skin. While traditional systems aren’t able to hone their treatment to a sufficient degree when skin or hair tones don’t work in their favour, elos™ is much more versatile and able to offer laser hair removal therapy for nearly every type of patient. There are a number of reasons why elos™ has become such a popular option for laser hair removal. Its track record of exceptional results, fast recovery times and ability to work with almost any patient makes it stand out from its competitors. 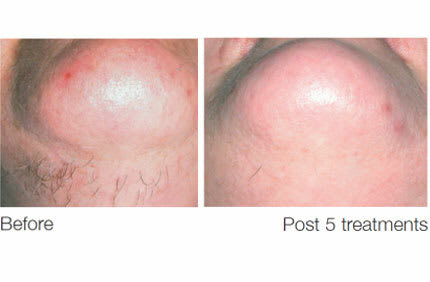 Here are five of the top reasons why elos™ hair removal functions better than other laser systems. Elos™ consistently outperforms other hair removal systems, providing long-term results. Most other intense pulsed light (IPL) systems are unable to match the benefits of the sophisticated technology behind ELOS. Lyra (from Nd Yag) only shows results for specific types of patients (depending on hair or skin colour), a shortcoming that is also apparent in many other IPL systems. Other laser hair removal systems are unable to work for many people. Patients with darker skin or lighter hair are often unable to be treated by IPL systems whereas elos™, due to its combination of radio frequency and light energy, allows for almost any individual to undergo hair removal therapy. Alexandrite only works for light skin colours and Lyra can’t be used for patients with light or fine hair. There is minimum pain experienced by patients undergoing an elos™ treatment. Since it uses a unique system to target only the hair follicles, elos™ is known to provide a gentle hair removal procedure. Other technologies often cause an intense burning sensation. You’ll only feel a gentle heating of the treated area. Elos™ outshines its competition in safety. Our laser hair removal technology has been used, with a high degree of success, for many patients without serious adverse effects. Our patients are male and female and range in age as well as hair type. One of the most important benefits of elos™ is also found in the short recovery time it requires of patients and how quickly its results began to appear. Elos™ begins to work quickly and allows patients to return to their schedules almost immediately following procedure. Laser hair removal is a nonsurgical procedure that permanently reduces the amount of hair growth in a target area. A combination of Laser and Bi-polar Radio Frequency (RF) energies are delivered to the treatment area, impairing hair growth by targeting the follicles. It is a safe procedure that is Health Canada approved. However, some patients may wonder whether electrolysis will achieve the same desirable effects of hair removal. Let’s compare the two methods. Electrolysis requires that each hair follicle is targeted by a probe, which means larger areas such as the legs, back and stomach could take very, very long. It is time consuming, and sessions can last a few hours particularly when the treatment is just initiated. Laser hair removal, on the other hand, requires far less time. Depending on the size of the device used, sessions may last a few minutes or more (such as the chin or upper lip), and certainly not as long as with electrolysis. Due to the additional comfort-boosting measures taken by our experienced medical staff at Skin Vitality, laser hair removal patients typically find their sessions to be comfortable. Some level of discomfort may exist, and may be similar to a rubber band snapping against the skin – quickly and lightly. However the sensation pales in comparison to what is experienced during electrolysis. It is common for electrolysis patients to describe their sessions as very painful. Plus, because it takes longer, the uncomfortable experience lasts longer, too and often accumulates for the duration of the procedure. When performed by an experienced, trained and properly certified professional, both procedures produce fantastic results. Despite the fact that electrolysis has been FDA-approved as a method of permanent removal and laser hair removal is of permanent reduction, many of our patients have had a resoundingly positive experience the latter. Attending regularly scheduled sessions and following care instructions will ensure the best results possible from laser hair removal. 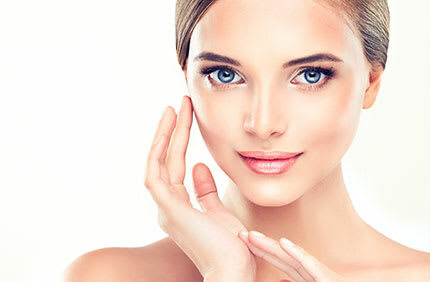 You’ll find out more details about the treatment protocol during your free consultation. 1. How does laser hair removal with elos™ work? Laser and Bi-polar Radio Frequency (RF) energies go directly to the root to damage the hair follicle without damaging the skin. Gradually over the course of your treatments there will be a permanent reduction in hair growth. Laser hair removal for most people is a comfortable procedure. However, Skin Vitality is also proud to offer Synercool for patients that are sensitive. The Synercool gently cools and numbs the top superficial layers of the treated area to help alleviate any discomfort. 3. How many treatments will I need? The number of treatments varies on the area being treated. This is something the Medical Esthetician and Medical Consultant will recommend for you during your initial complimentary consultation. 4. How does elos™ technology work with Laser Hair Removal? As discussed above, elos™ Technology is able to damage hair follicles until they are disabled, making significant hair reduction possible. After every treatment, less hair grows from the targeted site and the hair that does reappear generally will be lighter in colour, thinner and slower to come back. elos™ technology is continuously well-received and recommended by many doctors and patients because of its high success rate, almost complete painlessness and low recovery time. Most people that have undergone an elos™ treatment are able to return to normal activities immediately after a laser hair removal session and lingering side effects are usually minor, being confined to a temporary pink discolouration and hair shedding at the treatment site. 5. What happens after my treatment? Patients undergoing laser hair removal may experience some short term redness in the treated area after their treatment, which will go away shortly. No other side effects are generally reported. Protect the treated area from sun exposure. Contact us today to see if Laser Hair Removal is right for you! Call 1-877-356-7776 to book your free consultation and free test patch. Stop being embarrassed about your unwanted hair – imagine how fantastic you’ll look and feel! You’ll be able to go to the beach without having to worry about the hair on your legs or body. Elos laser hair removal is a unique system that’s great for all skin types.